The editors found several aspects of the bill praiseworthy. So do I. 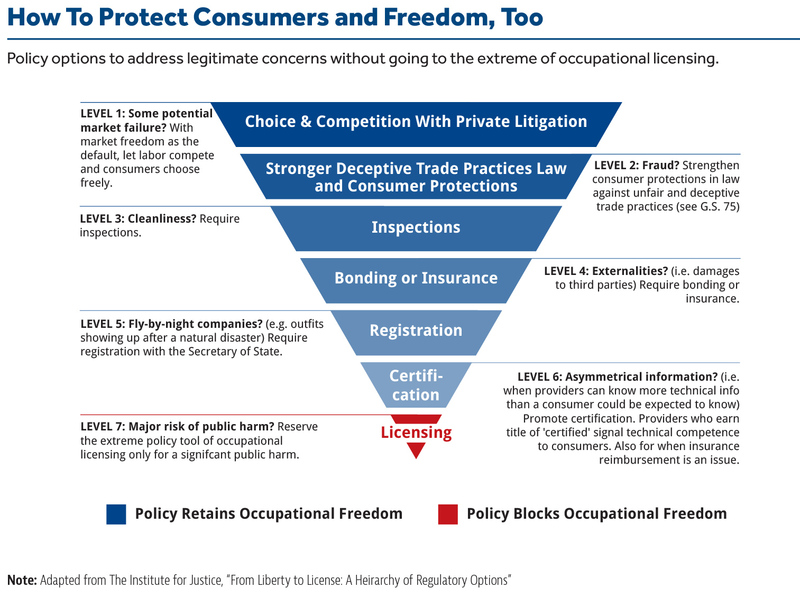 They include several ideas we at the John Locke Foundation have been promoting to reform occupational licensing in North Carolina. Enter the proposed Occupational Board Reform Act that says the state should “use the least restrictive regulation to protect consumers.” This means, for example, that the state could use alternatives like periodic inspections to guarantee clean and safe hair salons and barber shops. That would spare cosmetologists and barbers some 16 months of training. That is the wisdom of the Right to Earn a Living Act, which is now law in Arizona and Tennessee. My recent report on Modernizing North Carolina’s Outdated Occupational Licensing Practices concluded by urging policymakers to adopt a Right to Earn a Living approach here. I have a series on our Locker Room blog examining the Right to Earn a Living Act, piece by piece. Mississippi has also just recently passed similar legislation. Per the WSJ editors, similar bills are under consideration in New Hampshire and Louisiana now, too. Oklahoma is beginning a comprehensive review of its licensing structure. Legislative committees would review 20% of existing licensing requirements annually. Thanks to a strong regulatory reform in 2013, North Carolina policymakers already know firsthand the wisdom of periodic review. They’d consider whether a license is really necessary, whether the training requirements are overly burdensome, and whether the certification is abused to exclude competition. The committees would also examine whether it’s less time- and cash-intensive to get the same licenses in neighboring states. There is a significant and growing number of people in North Carolina who want to work but who have conviction records. A great many jobs out there — more than one-fifth — require an occupational license. But the state has a surprisingly large number of legal stops keeping a license from someone with a conviction record. 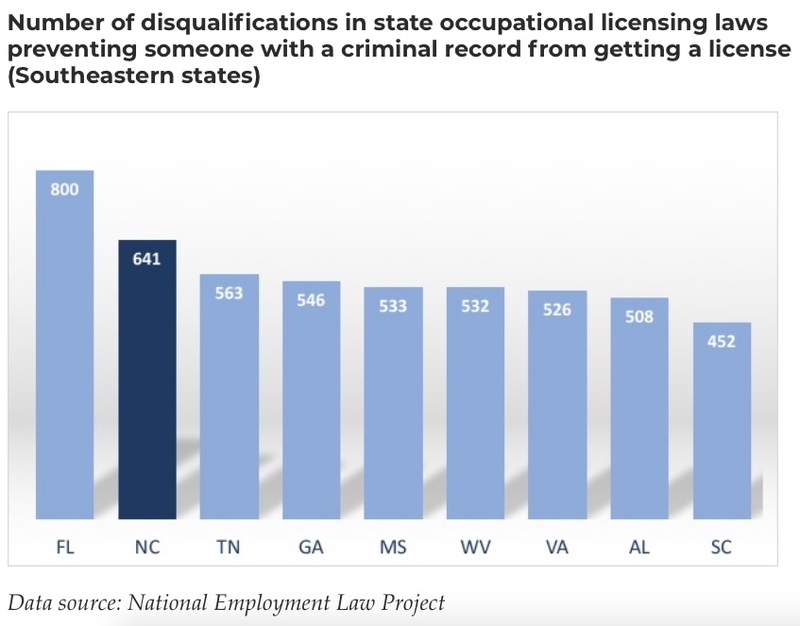 In the past two years, there has been as many instances of states de-licensing occupations as there were in the previous 40 years combined. Several more states are considering wholesale licensing reforms this year. North Carolina needs to join them.